To sleep without a care in the world for a stretch of eight to nine hours is ‘a dream come true’ for most people in the modern world. The irony strikes when you realise that this dream would never come by without sleeping at night. Are you twisting and turning on your bed struggling to sleep, and taking regular help from sleeping pills? Here is a lullaby for the sleepless. Most people are so burdened with a load of work that they sideline their sleep and torture their body. A human body is designed in such a way that it needs to get a good night’s sleep. When you sleep your body takes the much needed rest that it longs for. 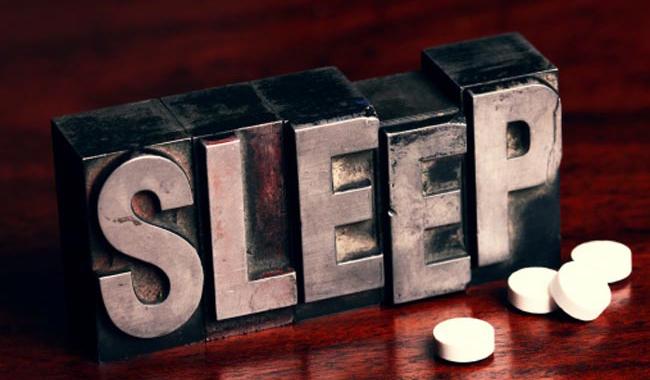 An active day at work, school or college deserves time to rest; the sleeping pills that help you are in fact very bad for your health. Your body follows a clock and it is up to you to set it accordingly. When you sleep and rise at the same time everyday your body records this time and works this way. When you are consistent in your sleeping hours your body promotes better sleep every night. If in case you do not sleep in about fifteen minutes then you can get up and do something relaxing and go back to bed. It is very important for you to set this sleep schedule. It is very important that you create a suitable environment in your bedroom to sleep. First you will have to clean your room; make sure it is neat and tidy. This will give you peace of mind and you will find it easier to sleep. Second, tone down all external noises so that you do not get disturbed when you are trying to fall asleep. Third, you will need to make your bedroom smell nice by spraying a fragrance of room freshener of your choice. You will see that you are much at peace and you will be able to fall asleep faster. When you go to bed either hungry or stuffed you will face trouble sleeping. These are two extremes that you must avoid, as your discomfort with both these situations will keep you up for long. Try and avoid nicotine, caffeine and alcohol before bed, or at least try and limit their consumption. These would cause disruptive sleep, as they have stimulating effects on your body. You may think that alcohol is making it easier for you to sleep, but the fact is that it can wake you up in the middle of the night dehydrated and fatigued. You must have seen elder do this all the time, they sleep with a book in their hands. This will help to exercise your brain and also tire your eyes thus helping you to sleep well. On the other hand television strains your eyes and you will not be able to sleep. You can simply pick up your favourite book, or it could be a magazine and read it until you are drowsy and ready to sleep soundly. For all those music lovers here is a great way to fall asleep. You can just put on your favourite CD and put your favourite song on repeat mode. Listen to it and fall in deep slumber. Music is the therapy for the mind and a soothing song is always a great way to relax your nerves and brains. Sleeping pills aren’t an option to fall asleep, you will only be more depended on them and you will find it increasingly more difficult to fall asleep. Sleeping well is a luxury, learn to get it right and then you are ready to go into your wonderland night after night after night.